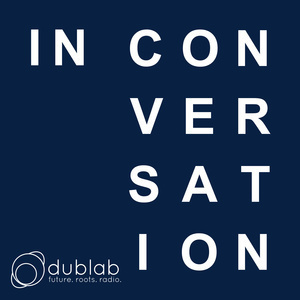 dublab Radio presents In Conversation, a weekly podcast featuring interviews from its 20 years of broadcasting. Highlighting some of the most compelling interviews from dublab's archives, In Conversation offers an in-depth view into the lives and creative processes of its guests. Created later in life, The Ashram Albums of Alice “Swamini Turiyasangitananda” Coltrane featured synth and vocal laden compositions inextricably linked to in her spiritual practice. Coltrane had always claimed music as an “expression” from within, but with these albums she left the commercial world in her wake, developing a new synthesis between her musical roots and Vedic sonic traditions. Through the voices of those who were closest to her, we are treated to an intimate view into this utterly transfixing and original body of work and the powerful heart and mind behind it. This episode was produced by Mark "Frosty" McNeill. Special thanks to all those who so graciously gave their time to be interviewed for this project. I would especially like to express my gratitude to the students of The Vedantic Center for opening their arms and memories to me. I am indebted to Josh Kun, Varun Soni, and Diane Winston for their guidance. Many thanks to Sasha Anawalt for her enthusiastic support. Eternal gratitude to my wife Nara Hernandez for her patience, love, and wisdom. This program is dedicated to the memory of Swamini Turiyasangitananda. In Conversation is produced by dublab. Sound editing and music are by Matteah Baim. Due to rights reasons music from the original broadcast has been shortened. To hear more, please visit dublab.com.